200 people live in the 120 apartments inside the 24-storey tower. 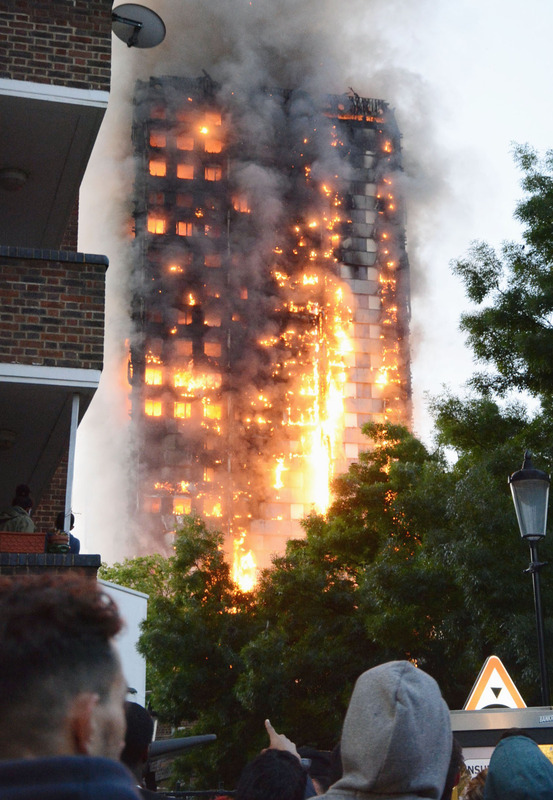 LONDON Police have confirmed that 17 are dead after a ferocious blaze engulfed a 24-storey tower. Authorities are refusing to speculate on how high the death toll could rise, and indeed how many are still missing. There have been one instance where a single person was reported missing 47 times. Meanwhile, London's fire chief is worried about the mental and physical health of many of the firefighters who worked on the Grenfell Tower inferno. Commissioner Dany Cotton told media in London tonight (Australian time) the 250 officers "saw and heard things on a scale they'd never seen before" as they worked through the night to rescue people from as high as the 24th floor. "I spoke to some of them yesterday who were truly distressed, not least of all because they knew there were people still in there." "They were battling through the heat and couldn't get there." "What went on yesterday truly traumatised a lot of people...it will affect a lot of people going forward. Officially, twelve people have died in the huge fire that enveloped the Grenfell building in the middle of the night in London yesterday, but Ms Cotton said authorities "have absolutely no idea" how many people were unaccounted for. She praised the bravery of firefighters who ran into the flames, reaching the 24th floor of the building to rescue people from inside but said it would be an "absolute miracle" if there were any further survivors. "They were in fear of their own lives. They were in and out of that building commiting time after time to rescue the people that were in there. "They were never going to stop until they physically couldn't get in there any more." "They are heroes but they have feelings and people were absolutely devastated by yesterdays events". The brigade has also warned the edges of the building are not safe and it's understood officers will conduct a "fingertip" search of the block that is expected to take weeks. A person reacts next to a fireman as they battle a fire at the Grenfell Tower, a 27-storey apartment block. According to the London Fire Brigade, 40 fire engines and 200 firefighters are working to put out the blaze. UK Prime Minister Theresa May will visit the scene today, while other local councils around London have committed to a review of building fire safety. Ms Cotton said it will be a miracle if any survivors are found following the devastating high-rise fire. Authorities have said many more victims are expected. Ms Cotton told Sky News that authorities don't expect to find anyone else alive after the blaze and that it's too early to speculate on how it started - or even how many people died. She said that authorities have finally extinguished the last pockets of flame, and are trying to secure edges of the building for a fingertip search. Senator calls for cladding investigation: Nick Xenophon calls for review on Australian apartment buildings following London fire. Meanwhile, construction plans show the perilous maze residents had to navigate to make their way to the building's single fire escape. Renovations of the Grenfell building in North Kensington saw the building not only kitted out in controversial cladding that could have caused the deadly blaze to spread so quickly, but also stripped of two of its fire exits. Planning documents submitted to council between 2012 and 2014 show a collection of compact living spaces packed in tightly together on each floor. According to floor plans 120 apartments were jammed into the building's 24 storeys, all around a central elevator and fire escape. Leading London fire and building inspector Geoff Wilkinson said that while having only one fire escape may have made the escape more difficult for some residents, it still should have been adequate. "We can tell that reports (concerning fire safety) were made and the fire service had made inspections relatively recently," he told ABC radio. "The question of having a single fire exit is not uncommon. It's certainly proved to be (adequate) in the past." A major refurbishment of the Grenfell Tower, originally built in 1974, was completed in May 2016 at a cost of $14.6 million. Questions are being raised about what caused a London apartment block to turn into a blazing deathtrap, as witnesses reveal residents were advised to "stay put". 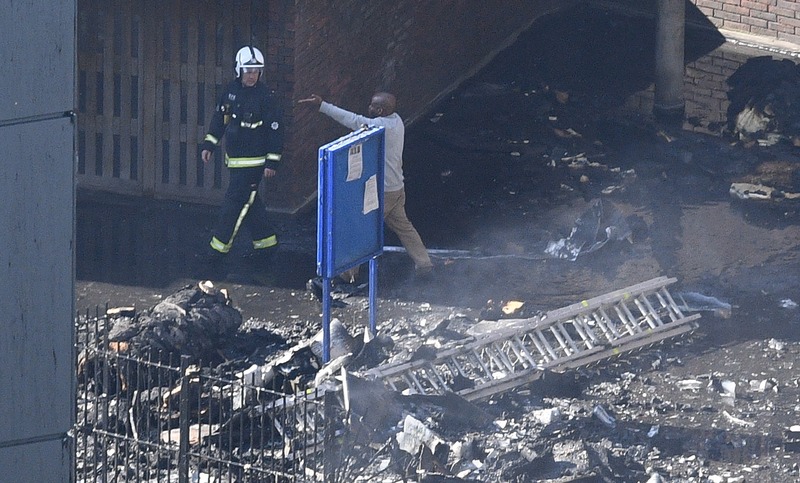 At least 12 people died on Wednesday when the building became engulfed in flames in a fire described by London's Fire Commissioner as "completely unprecedented". Witnesses reported seeing a baby thrown out a window to safety to avoid the horror inside. As many gathered outside evacuation centres to await news of loved ones, they reported people following official advice to stay inside, unaware of the true extent of the danger unfolding. 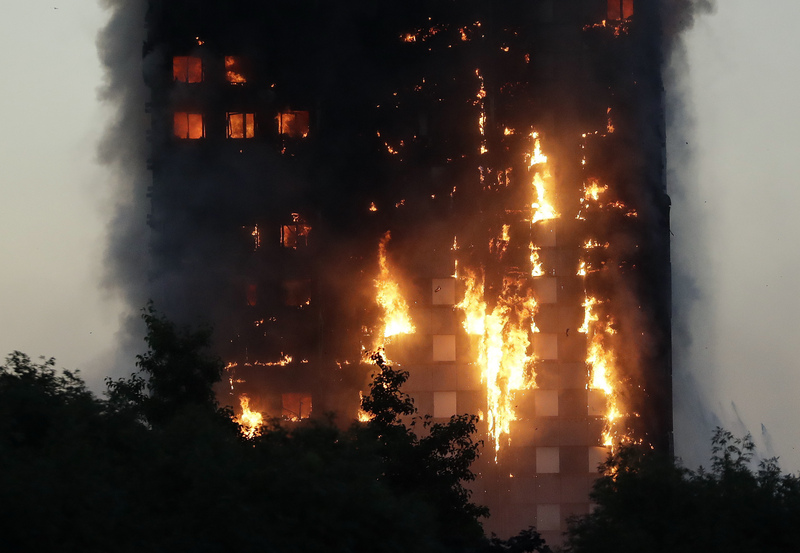 One resident who said he and his neighbours had complained about the building's safety for years said he considered the disaster "mass murder" as experts focused on the building's external cladding, fitted only a year ago, that could have turned the tower into a death trap. Local media is reporting "nobody on the top three floors survived", crediting the claim to a local community leader. Massive fire in Central London: 200 firefighters tackle blaze in apartment building. On Wednesday, London mayor Sadiq Khan paid tribute to emergency services at the scene for "running towards danger while other people were running away". At least 68 people were treated in hospital for injuries including smoke inhalation and the mayor said "the figures are going to go up". Eighteen people are thought to be in a critical condition. Witnesses outside the block told of horrifying scenes with residents trapped inside while screaming for help and throwing their children to safety. 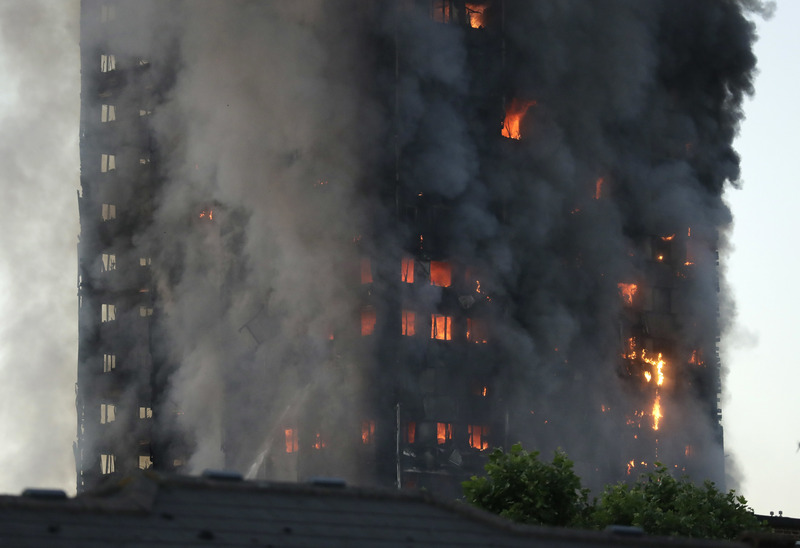 London's Metropolitan Police spokesman Stuart Cundy said there were 120 flats in the building and it was "very very challenging" to put a figure on how many remain unaccounted for. "I don't anticipate that there will be further survivors," he said. It comes as witnesses report seeing people inside the burning building opting to stay put rather than leave. Neighbour Mohammad Jamal, 27, told news.com.au he yelled at those inside to get out but many opted to stay and shelter as they were reportedly instructed. "First we saw a lot of people at their windows screaming, a lot waving, using phones. Others who we yelled at to leave told us: 'We've been told to stay'," Mr Jamal told news.com.au. Those on the street could see that the blaze had engulfed one side of the building. "They couldn't see it spreading," he said. "People were still sleeping. We were trying to throw stones to get people's attention. Everyone was helpless." Earlier, Commander Stuart Cundy, from the Metropolitan Police, said: "Our thoughts are with everyone involved in this truly shocking fire at Grenfell Tower. A "significant" number of people were unaccounted for. As many as 600 could have been inside the 120-unit tower when the fire erupted just before 1am local time. 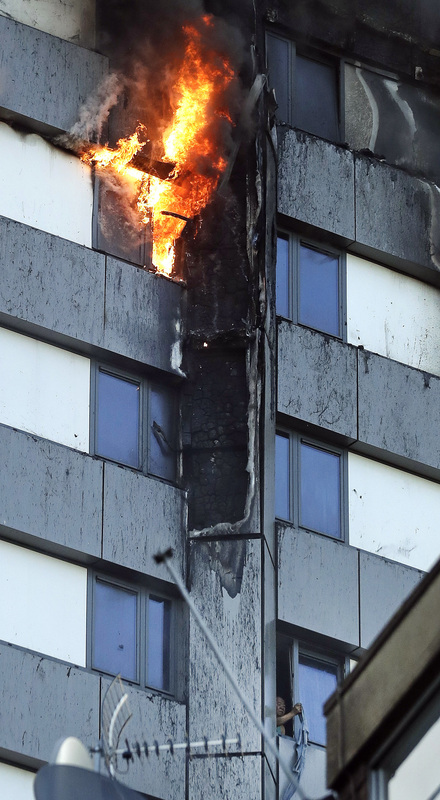 It's still not clear what caused the fire at the 27-storey building in west London. Locals have spoken about a fridge exploding on one of the lower floors - while other residents have speculated recently installed cladding may have fuelled the fire. London Fire Commissioner Dany Cotton said firefighters arrived within six minutes to battle the blaze, which she called the worst she'd ever seen. Police have not put a figure on the number of people missing, but anxious relatives and friends have started to post desperate messages on social media looking for their loved ones. Harrowing accounts of trapped people screaming for help - with some jumping to the ground in desperation - have begun to emerge. Residents who escaped the inferno have been taken to evacuated to nearby churches and community centres. Kids from a nearby school have come down to look for their missing friends. Among the missing, they say, are Georgina Smith, 12, her sister Kristina, 7, and Jessica Urbano, 12. A friend of the three, Asia Phillips, told news.com.au: "We've phoned, texted, snapchatted, and ran out of credit. Been calling but it just goes to voicemail." The Fire Brigade is working to stabilise the building as crews still search for people inside. Engineers believe the building is safe for rescuers to enter to search for survivors, but a large exclusion zone has been set up amid fears it could collapse. Elaine Lara lives on fourth storey of a building opposite the devastated tower. Through tears, she told news.com.au she was standing outside watching the fire engulf the building, powerless to help. "I heard commotion outside at 1.30 and thought it was someone arguing. It was so intense that I went outside. It was a horrible scene, you could hear people screaming for help. You could hear a woman yelling: 'Help, I have my kids'. "Only in movies you see that sort of thing, not something you forget." She said she watched as residents tied sheets together to form a rope on the 10th floor. "The screaming of people, it's distressing to hear people calling out for help and you can't do anything. "There was somebody up there with a phone shining the light. You could see the fire spreading across. You really hope they got away but I feel deep down they didn't." A police officer told news.com.au there could be survivors as trapped people could be seen in the windows in a section of the building that's sealed off where the fire hadn't spread to. One man, Kamal Hassan, said his friend and his wife was one of those trapped inside with their three chidlen. "The phone is dead," he told news.com.au near the scene. Horrified onlookers said the inferno resembled "hell on earth" at its peaks, with huge flames engulfing the building. "Haunting screams" could also be heard as hundreds of frantic firefighters battling the blaze. Khalid Sarang, 23, lives in neighbouring block and said the scene was like "hell on earth". "There is a family of four trapped up there now screaming.The first thing I heard were the screams and I came running out. Journalists at the scene report firefighters could be heard urging people not to panic and cover their mouths with wet towels to get out - and not just wait for rescuers. They were also being asked to shine torches or their mobile phones to help guide rescuers. The fire safety advice to Grenfell Tower residents was to stay in their flats unless told otherwise. The advice said: "The new front doors for each flat can withstand a fire for up to 30 minutes, which gives plenty of time for the fire brigade to arrive." London Mayor Sadiq Khan said he was "truly devastated to see the horrific scenes" at the Grenfell Tower. "My heart goes out to everyone affected. I am sad to confirm that we now know there have been fatalities...The fire service is dealing with a rapidly changing situation and these numbers are likely to rise." Mr Khan said there would be many questions about the fire in the days ahead. "I want to reassure Londoners that we will get all the answers." The scale of the devastation is becoming clear as dawn breaks. Parts of the fire appear to have been extinguished, but flames can still be seen on many floors. "The Prime Minister is deeply saddened by the tragic loss of life in the Grenfell Tower and is being kept constantly updated on the situation. "The PM's thoughts are with all of those affected by this terrible incident and the emergency services, who are working tirelessly in very difficult circumstances." The smell of smoke was everywhere, news.com.au Europe reporter Victoria Craw said. "There are people everywhere, it's pandemonium. The firefighters look exhausted." At least 200 firefighters in 40 engines are battling the blaze. The London Ambulance service has 20 crews at the fire, according to the assistant director of operations Stuart Crighton. A woman who lives across the road from the burning tower, Celeste Thomas, tweeted she can see debris falling and hear loud "cracking" noises from inside. Ms Thomas said a man next to her was on the phone and trying to help someone get out of the inferno, "talking them through step by step". The smoke was getting thicker by the second and she and other residents were being pushed back as the cordon was increased. One narrow road in and one narrow road out to the building was making it hard for engines to get in. One man could be seen waving a blanket from the window, while other people were reportedly visible inside, The Guardian reported. "There was a woman with a child. I saw her waving maybe 30 miss ago," a witness said. "She said I've got a child ... I saw them spraying her window." Another devastating account from an eyewitness said a burning man had been seen falling. Hadil Alamily told The Guardian she saw the man flashing a light in an SOS pattern. "He was screaming help, help, help but no one helped. He dashed a mattress out of the window. He was literally on fire and jumped." Dana Ali, 30, told The Sun that her parents Maria, 51, and Khalid, 61 were trapped in their flat on the tenth floor of the building. "They said they're in their living room, they're closing all the doors, they can't get out. They opened the main door and saw black smoke," she said after speaking to them on the phone. "They couldn't see anything so they closed the door back. And now I'm trying to call and they're not answering." 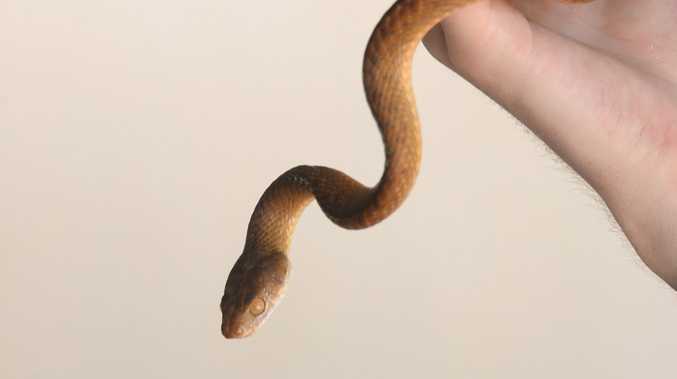 Usama Itani told the BBC he had seen "some evidence of life" from within the building. "People blinking lights from within the building and things like that...I could see someone on perhaps the 11th floor standing with her hand to ear...maybe on the phone." The fire started at the top of the 27 storey building, which started at around 1.16am, local time. At least 200 people live there. The block, which is located beside Kensington Aldridge Academy school, is managed by the Kensington and Chelsea Tenant Management Organisation (KCTMO) on behalf of the Council and contains 120 homes. It was built in 1974. A blog late last yearby occupants of the tower warned only a catastrophic fire in the tower would "bring an end to the dangerous living conditions" of tenants and leaseholders. "Unfortunately, the Grenfell Action Group have reached the conclusion that only an incident that results in serious loss of life of KCTMO residents will allow the external scrutiny to occur that will shine a light on the practices that characterise the malign governance of this non-functioning organisation." Rydon, the contractor that completed refurbishment works on the building last year, issued a statement on Wednesday afternoon, expressing their "shock" and offering condolences to the families and friends of those lost. BELOW: London High Rise fire captured by Twitter.